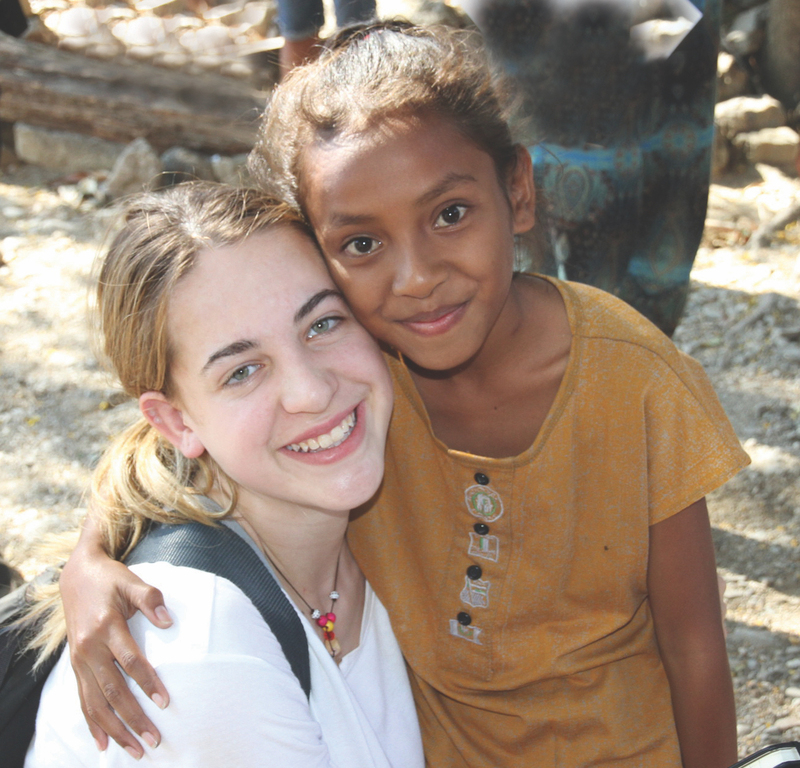 Project Timor is at the heart of our core Mercy values: service, justice, option for the poor and human dignity. It is about our girls recognising the privilege and the empowerment that education has brought to their lives and wanting the same opportunity for young women who would not otherwise be able to access a quality education. The College has built a strong relationship with the commnity of Maliana, Timor-Leste having first visited this remote area in 2014. The fundamental reason for our work in Timor-Leste is to afford the opportunity of a quality education to all young women at Colegio Infante De Sagres in Maliana. The value of education is paramount and is what connects us with the Timorese. Project Timor comprises of - the Food for Thought Program, our Colegio Scholarship Program and the building of a Teacher Professional Learning Centre in Maliana. (Project Timor will not include funds raised for the College's Bursary Blue Ribbon Appeal). Whilst the Food for Thought Program and the Colegio Scholarship Program will be ongoing, the Teacher Professional Learning Centre will be a two-year project. Following the 1999 massacre in East Timor the country was left without a government, official language, currency, legal system or schooling and there is currently an acute shortage of qualified teachers. The College is committed to working in partnership with the Timorese people to build a sustainable future for the young people of this country and for this to happen it has to begin with quality teacher education. The Teacher Professiobal Learning Centre will improve educational outcomes for the children of Maliana, who currently make up 60% of the population (<25 years) and dramatically advance educational, employment and economic outcomes for girls where only 18% graduate from high school. We have set a fundraising target of $1m and through student and staff fundraiising initiatives and the support of a major donor we have been able to raise over half of this amount. In order to raise the remaining funds we are seeking the support of businesses and the wider community via their Corporate Social Responsibility (CSR) Programs. If this project is in line with your social responsibility initiatives we would welcome the opportunity to meet with you. We invite you to read our Case for Support (see above) outlining our vision, key objectives and the benefits for the 72 schools in the Diocese of Maliana. Should you wish to make a donation to the Teacher Professional Learning Centre please click here. The Teacher Professional Learning Centre will be a self-sustainable facility and will provide an income stream for the community that will feed back into quality teaching and professional development. In 2017 Monte initiated the Colegio Scholarship Program for girls who achieved the top two places in their year. In 2018 two Year 12 graduates received full scholarships to attend Universidade Nacional Timor Lorosa'e (UNTL). Both Scholars have been accepted into UNTL to study Medicine. In 2014 Monte launched the Food for Thought Program to raise funds to meet the nutritional and literacy needs of the young women at Colegio Infante de Sagres Maliana. It is our core values that will drive the College's vision to support the educational outcomes for young women in Maliana, Timor-Leste. I invite you to join us on our journey to justice.